When the court accepts your petition for bankruptcy, it will issue an automatic stay. This is a restraining order that bars your creditors from any collection actions, halts any ongoing civil lawsuits, and prevents any new lawsuits as long as the bankruptcy case remains open. The automatic stay applies to all creditors, whether the debts they hold are secured by property or not, and whether or not the law allows that debt to be discharged at the end of the case. A bankruptcy discharge means that the court has cancelled a debt. The creditor may make no further effort to collect the debt, either by communicating directly with you or by filing a lawsuit. If a lawsuit is in progress when the bankruptcy petition is filed, and the debt is dischargeable by federal law, then the discharge in effect dismisses the lawsuit. The creditor has no recourse except to file a motion with the court to reopen the case and petition for reinstatement of the debt. 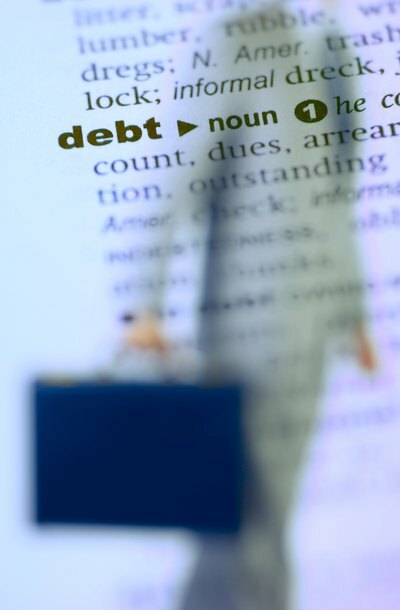 If a creditor attempts to collect a discharged debt, the debtor may file a motion to reopen the case and have the discharge confirmed by the bankruptcy court. The debtor may also bring a claim for damages under federal bankruptcy laws, the Fair Debt Collection Practices Act, or the Fair Credit Reporting Act. This situation often arises when an original creditor has sold the debt, and the right to collect it, to a second or third party, who may be unaware of the bankruptcy if the debtor only lists the original creditor on the petition. If a debtor neglected to list a creditor on the bankruptcy petition, the automatic stay will not apply to that creditor. The bankruptcy court uses the bankruptcy petition to notify creditors, and does no investigation of its own to find the petitioner's debts. A creditor not listed on the petition may file a motion to add the debt and make a claim on the debtor's assets. Willful negligence on the part of the debtor may result in fines and penalties, and dismissal of the case. If the case is dismissed, the court will lift the automatic stay and reinstate all debts, both secured and unsecured.